By reviewing saxophones in a standard way we are able to compare and contrast the development of styles, features and weights over time. Hopefully you will find this informative and useful. We’ll also be looking at the installed base of instruments by maker over time through studying serial number lists. 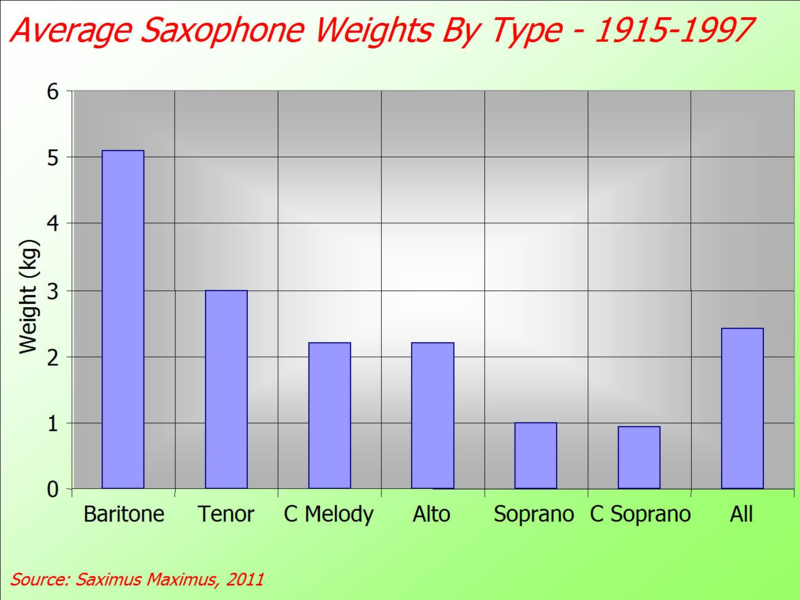 See our analysis of saxophone weights here. Sorry for the late supply. My diagram shows kilograms. At 5lds you saxophone is almost certainly an alto.